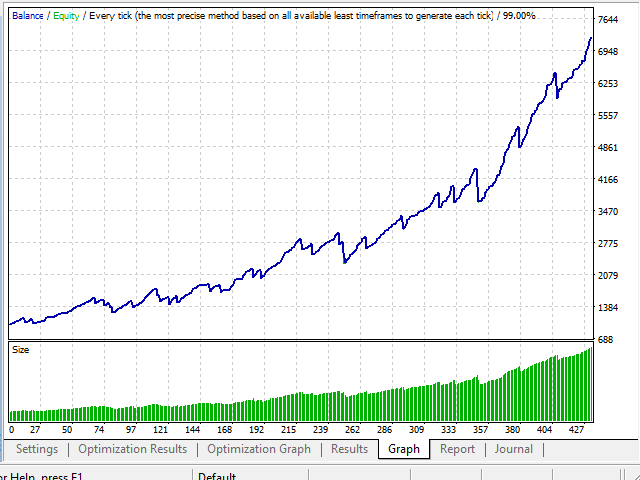 The trading system constantly tracks the trend movement waiting for a roll-back to enter the market. WPR system allows the EA to easily define overbought/oversold market states during short-term trading. The EA uses other filters on different timeframes to accurately define the direction. Follow the trend. A lot of built-in indicators show the direction. Applying MA, WPR, ATR and CCI indicators on various timeframes has proven to be quite efficient. Look for a good position and buy/sell afterwards. A good position is the one with a clearly identifiable trend. Correct market entry is the most critical thing here. It is even more important than a trend itself. The market exit is performed at suitable conditions. 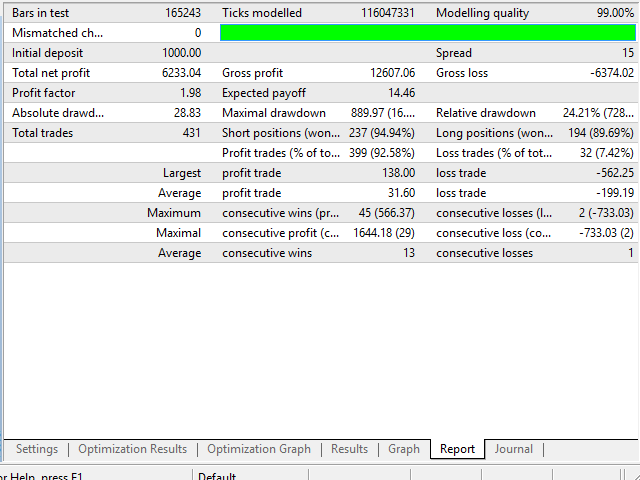 Each trade can be accompanied by a fixed take profit and stop loss. However, when the market situation is not particularly favorable, the EA uses its internal algorithm to find the best exit option. This helps to reduce the risk and improve efficiency. Experience suggests that the best way to learn how to do something is to do it yourself and not to be dependent on others. To obtain a stable income, you need to learn how to optimize the robot on your own. It is much easier than you might think. The robot has a number of external settings that should be changed depending on the market conditions. Use the strategy tester to define them. I will not dwell here on how to use the strategy tester in the optimization mode. You can easily find the information on the Internet. Here I will provide you the most important optimization data. These are the most important settings that should be adjusted to the current market conditions. Other parameters can be left default except for AutoMM than can be changed manually depending on your personal needs. The higher its value, the higher the risk and potential profit. Another advantage is that the EA trades seven pairs: EURUSD, GBPUSD, USDJPY, USDCHF, USDCAD, AUDUSD and NZDUSD. Settings for each pair should be selected individually. 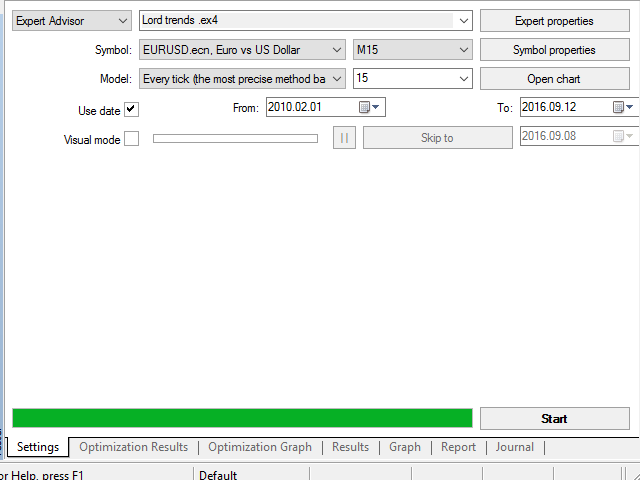 The current settings are most suitable for EURUSD.